Lately I've been getting a lot of questions about concealing undereye circles. This is something that took me a little while to master; like many I hated that dreaded gray, ashy look that still remained after concealing. You've seen many of my before and afters where dark circles can simply erase with the right products and application. I did a concealing video about a year ago but the quality and process wasn't that great. This is my own personal concealing process. Take a look! Eye cream is important for prepping your eye. This will moisturize the delicate skin to prevent a dried out look. This also helps prevent puffiness and help to lessen darkness over time. I like MAC's Fast Response cream since it has a silicone type feel. It helps to fill in fine lines and wrinkles in the skin so that concealer sits on top. The key to erasing dark circles is a corrector. Many of you can use an NW shade from MAC since it has those peachy undertones. For fair skin - go with something pink, for medium skin - peach/salmon, for darker skin - orange. This color works to cancel out blue/green/purple in the skin. Pat it (don't swipe) on sparingly, concentrating it on the darkest areas. Use a synthetic brush or your finger to blend out the edges. I use Bobbi Brown corrector in dark peach. Other great correctors include NW shades of concealer from MAC, MUFE correctors, and MAC studio finish color correctors. Take into account that cream offers the most coverage. For some, this may be optional. A concealer 2-3 shades lighter than your skin tone finishes off the concealing process. It helps to lighten and brighten the undereye area, giving the illusion of a wide awake look. 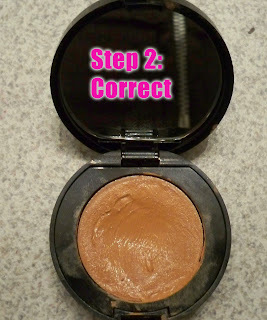 It also helps to cancel any remnants of the orange toned corrector. I use Bobbi Brown concealer in Beige. Lastly, this is a step that many forget to do. 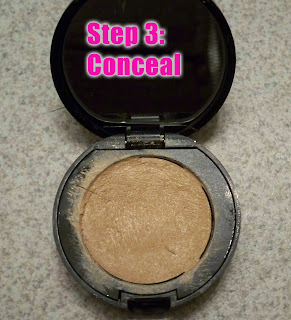 If you find that your concealer doesn't last throughout the day, make sure you're setting it with powder. I go with a light, transparent powder from Camera Ready Cosmetics applied sparingly with a brush. The powder will set the product underneath. 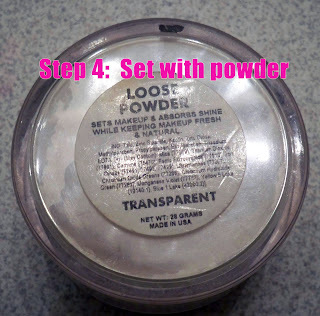 If you notice any lines forming at this point, the powder will also help to even it out. Check out my video tutorial! Great correcting tips Ren, thanks!! thank you SOOOO much dear. ihave the hardest time trying to get under my eyes like, i usually get these streeks that make me look way older and its not my skin in the way i put on the concealer. I love this; I need such major help in this area!! And I didn't catch Make me a Supermodel b/c I was busy watching the season premiere of ANTM!! Coming out of lurk-mode to say how much i love your blog, you are truly a talented artist. Your vids and blog have improved my skills, thanks so much. Question - what orange concealor do you recommend? 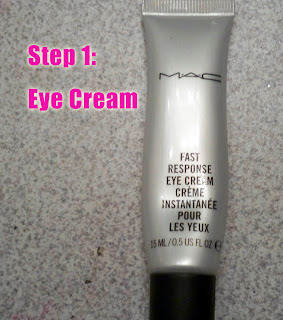 so wut exactly does the MAC eye cream do??? 2. what color eyeshadows are you wearing? i would love to recreate the look!